379 and 380. Portable cramp drills. 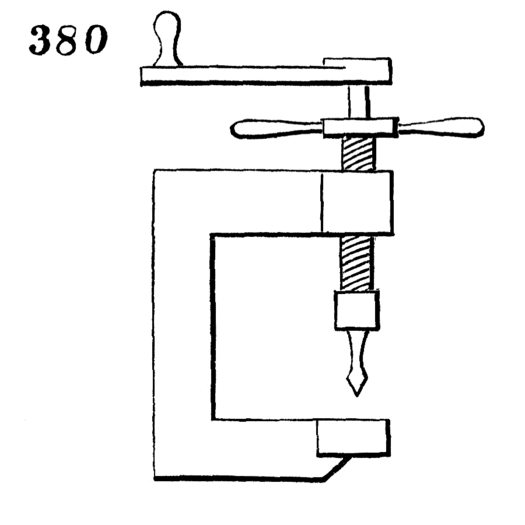 In 379 the feed-screw is opposite the drill, and in 380 the drill spindle passes through the center of the feed-screw.